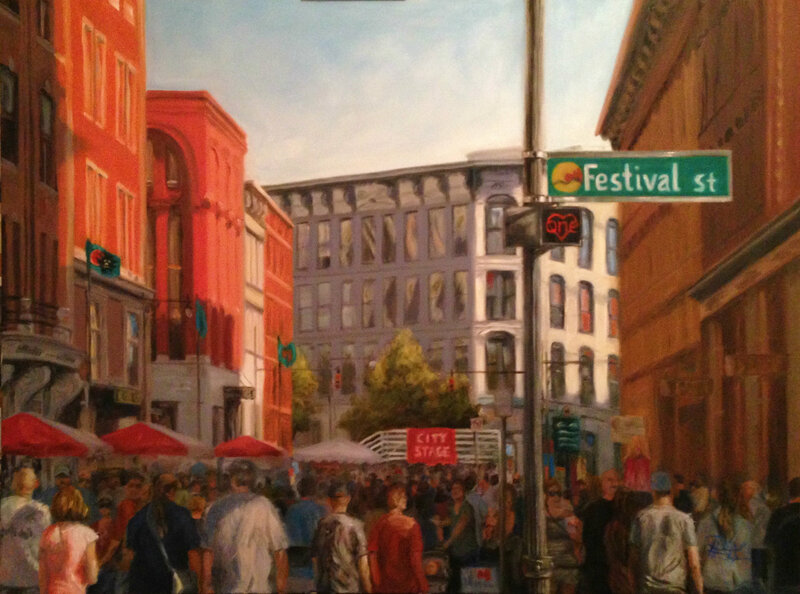 I wanted share an image of the original oil painting I created for the posters for Festival of the Arts in Grand Rapids 2015. The painting will be on display and for sale at the Richard App Gallery (910 Cherry St Se, Grand Rapids, MI). There are poster prints (2 sizes) and coffee cups for sale at the gallery as well. Check out some of the buzz here…..and here….and here. This entry was posted in Randomness, What's new. Bookmark the permalink.